And so the perfect month — October — comes to a close. On the calendar, anyway. It’s merely a mark in time. Meanwhile, we live day to day, savoring the glory of life. Which is why I drove out of town this morning to once again search for photos that might express my joy and wonder at living here in the high, wide open spaces of Yavapai County in the Central Arizona Highlands. This photo represents a sliver of what I found. 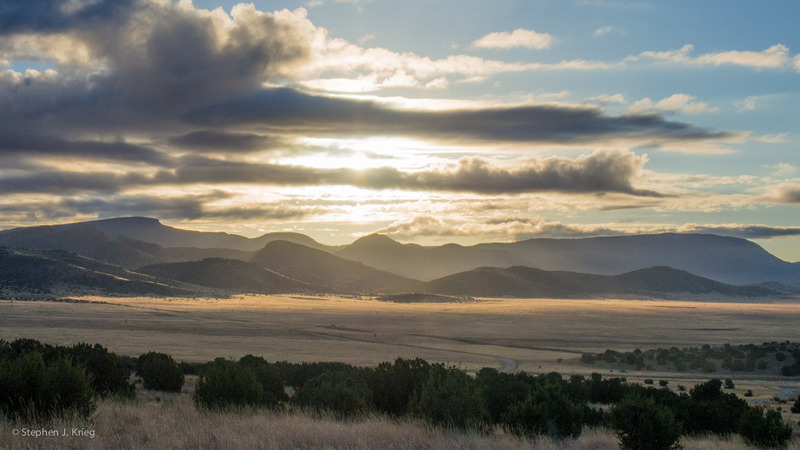 Photo location: Lonesome Valley, north of Prescott, Arizona. October 30, only one day left in the month after this. In the perfect month. But the perfect month has almost run out of time. A cold front had come through, with some clouds to possibly make sunrise colors. I launched myself out at dawn, wanting to roam a bit into the heart of Lonesome Valley. 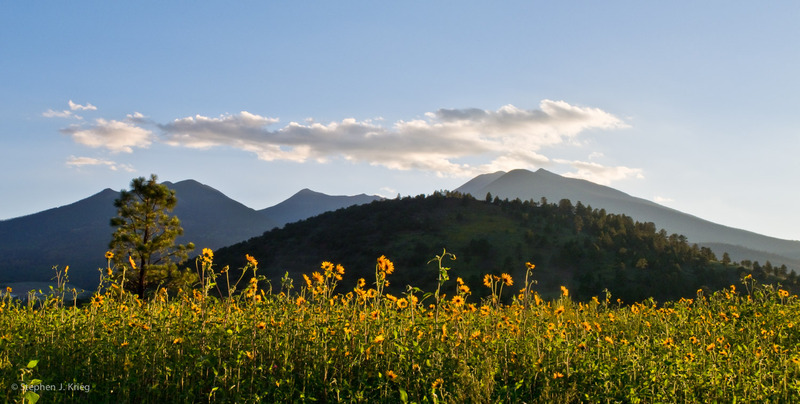 In the beautiful high country and wide open spaces of the Central Arizona Highlands you can’t lose be being out in nature. Just go out, soak in the view, the fresh air, the friendly waves of people driving the other way on the country roads. Anyway, I chose to drive east from Chino Valley on Perkinsville Road, because the views are wide open right away. High country grasslands, ranches, a chance to see one of the antelope herds, too. 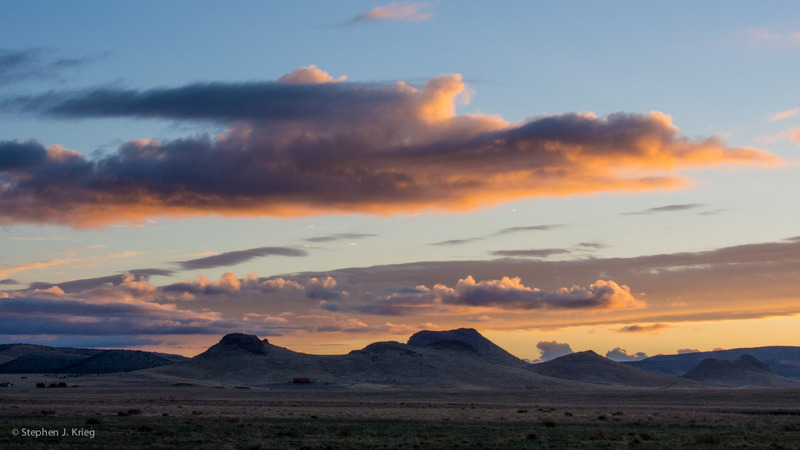 The clouds above the Lonesome Valley Buttes lit up with the reds of the yet-unseen sun. Land shapes, sky shapes, color. The freezing dawn was warming up with sunrise, and the sun would soon warm the landscape with golden sunlight, too. Goodbye, October. You’re the perfect month to me. The good news is that the second best month follows. November, when I get to savor the remnants lingering from your glowing light of autumn leaves. Photo location: Lonesome Valley, Yavapai County, Arizona. Combing through my photo files gives me a fresh perspective on them. What’s the best, what’s not. But also to delve into some photos with the latest tools, like Adobe Lightroom 5. They keep tweaking the tools to make them more subtle, and thus more powerful for expressing a photographer’s mind’s eye. In this photo taken northwest of Flagstaff, Arizona, I was savoring the mountain high country. Mountain peaks, warmth without sweating like a pig. Cool nights camping in the forest. But that summer, the sunflowers exploded in force. Riotous. What caused that? The next summer, not so much. So I’m glad to have photos of it like this one. 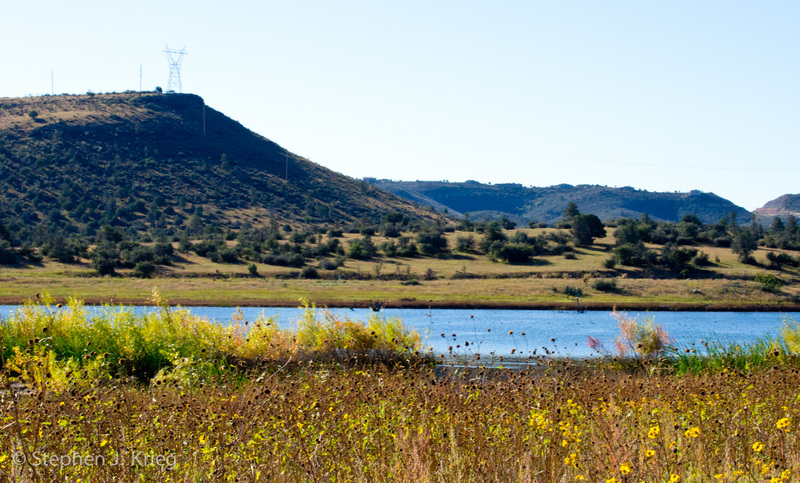 An early October morning by Watson Lake just north of Prescott, Arizona. Typically gorgeous, blue sky, the morning warming up. The vegetation along the lake turning with fall colors. I had the time. I stopped to appreciate, walking along the north shore. Sunlight dappling on the blue sky reflection of the water’s surface. October 3, a chilly, still, peaceful early autumn dawn. 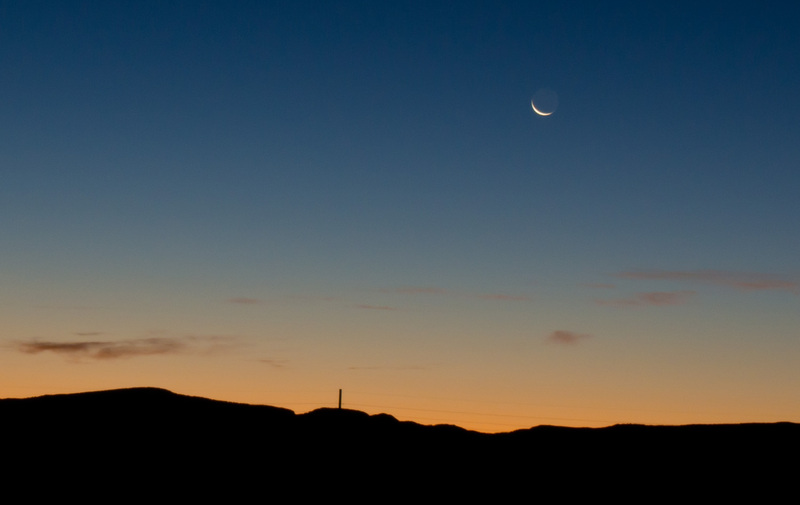 I had been watching the crescent sliver of the waning moon rise over the Black Hills in the darkness. Waiting for enough light from the far-behind sun to make it a scene worth photographing. Finally I stepped outside, made some tentative shots, then, eventually, this one. Enough glow on the horizon, while the moon wasn’t yet erased by the bright sunrise. Deep blue above, barest yellow tint below. Moonrise over mountains. Tomorrow will be the New Moon. October, the perfect month. A very nice beginning.